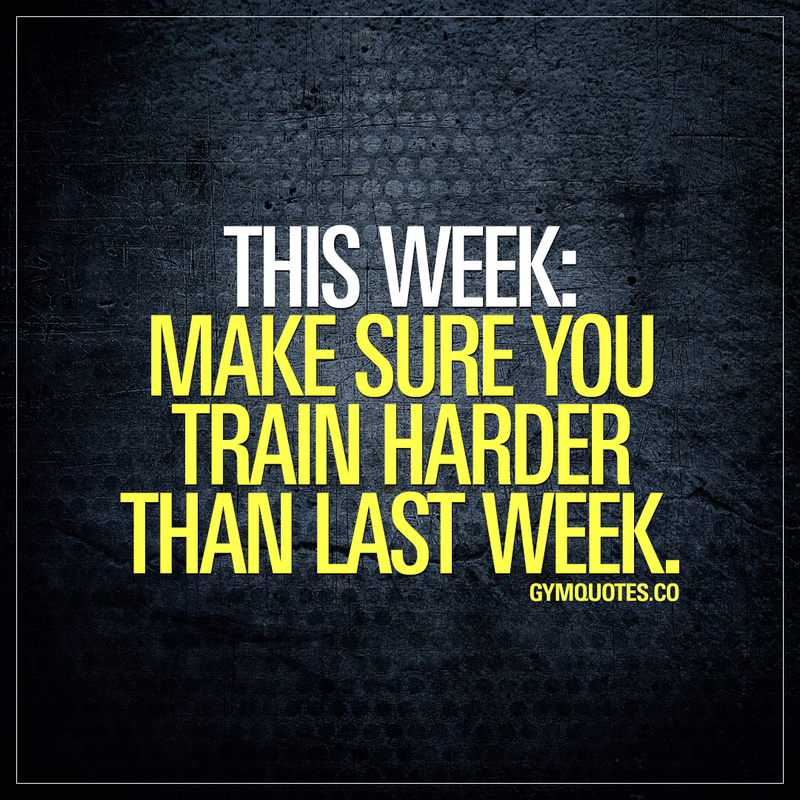 This week: make sure you train harder than last week. It’s all about intensity. 30 minutes of high level intensity beats 90 minutes of low level mediocre effort. At least when it comes to gains. Intensity does not equal weights. It doesn’t mean you have to lift heavier. It simply means you need to push yourself harder. Less rest, drop sets, supersets, slow mo reps, holds, going for multiple angles and simply doing everything you did last week – but better/more efficiently – is one way to make sure you train harder than last week. 😊 Wishing you an amazing start to your week!! Beast Mode is ON. Time to chase to those gains, burn some fat and become more fit than before! This Monday motivation gym quote (image and text) is copyright © Gym Quotes 2019.